On short notice we were asked to oversee the North American Racing Academy's Equicizers at the 2016 Secretariat Festival in Paris, Kentucky. The festival took place September 16-18 and we attended on September 17th. Much to our surprise, longtime friends and supports, Rick and Mel Leonard of the Daily Racing Funnies, stopped by for a hello and it turned into a great photo opportunity. We appreciate everyone who stopped by to try the Equicizer and say hello! If you took pictures, please share them with us on our Facebook page or on Instagram/Twitter with the hashtag #Equicizer. We are thrilled to have been asked this year to bring an Equicizer down for the International Society of Rider Biomechanics Coaching Symposium in Lexington, Kentucky. 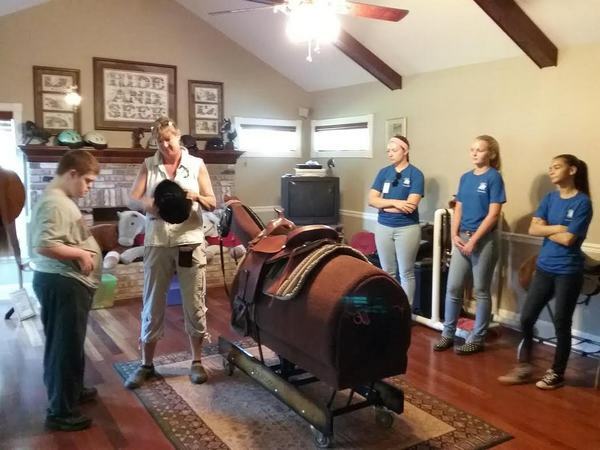 Taking place between October 3-15, the Equicizer will be featured in a 45 min filmed video presentation at the University of Kentucky, as a part of the mandatory training program for many years to come. Headed by Colleen Kelly, The International Society of Rider Biomechanics is the International Examining and Registration Body for those interested in researching and coaching the university based science of biomechanics to horse riders. You can learn more about the ISRB and the Symposium by visiting their website. Biomechanics specialist Colleen Kelly is celebrated as a world expert on rider balance, seat, position and coordination. Her world lecture circuit includes venues such as the University of Kentucky and the world's largest events such as Equitana, World Expo and Equine Affaire. 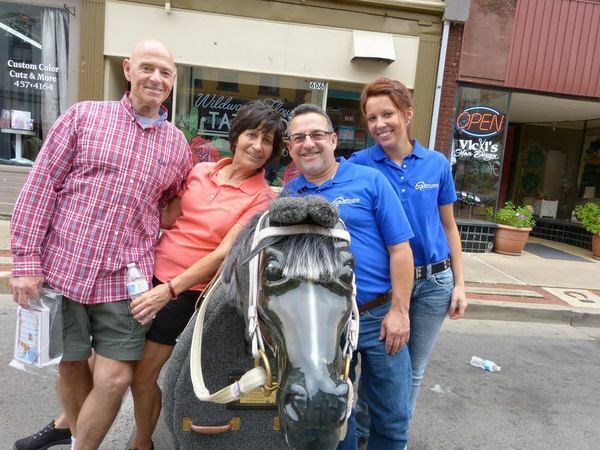 Have you checked out Equicizer's blog, Wooden Horse Wednesday, yet? If not...you have a lot of catching up to do! We are so proud of this blog and excited about the content. We feature everything Equicizer from how it's made to how it's used and much more! 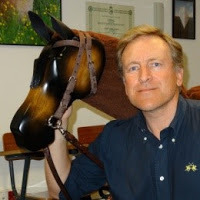 One of our favorite blogs to date is a recent "celebrity" post by Equicizer owner Josep Closas. He wrote about his experience opening an indoor training center in Spain focused around his Wooden Horse "Marengo". Make sure you check out his post! If you are interested in contributing to the blog or have a suggestion for content, please feel free to email us with your ideas! Heather Sansom - Special Training Offer! Our Equicizer Equestrian Fitness Expert, Heather Sansom, has offerred some special online coaching packages in honor of the 9th anniversary of her company, Equifitt.com Fitness & Equestrian Training! These offers are available to all Equicizer owners interested in utilizing Heather's training and advice on the Equicizer. Originally the deal ran through September 25th but Heather has agreed to extend the Anniversary Assessment offer, the Anniversary Transformation offer, and the Super Serious offer through December 15th (great for Christmas presents!). Please contact Heather for more information or to take advantage of these wonderful opportunities. Have you thought about Christmas yet? It might seem like crazy talk when it's not even Halloween yet, but the order queue at Equicizer fills up quickly for the holidays. If you know a special someone who deserves their very own Wooden Horse this holiday season or if you are planning on adding one to your own Christmas list, make sure those orders are placed as soon as possible. We try to accommodate all the orders we receive but since each Equicizer is handmade, we can only do so many in time for them to be rocking next to the Christmas tree by December 25th. Visit our website or email us to get your order started!